Our ski club is open all year round. It doesn't matter if you're a first-time skier or professional. 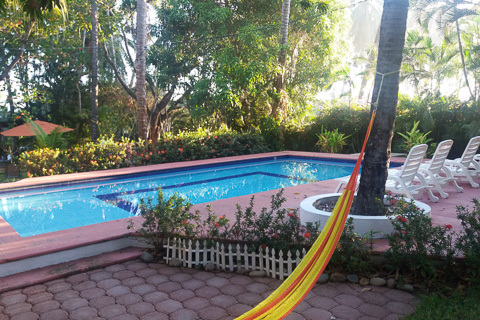 Give us a call and come enjoy our little tropical paradise in Mexico. You can stay on site in a private room or you can book a whole bungalow. It's up to you. And did we mention delicious food we are preparing? 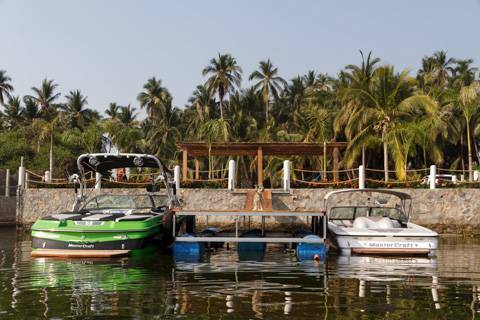 For sports addicts, we host waterski, wakesurf & wakeboard and sup yoga camps with our guest coaches. 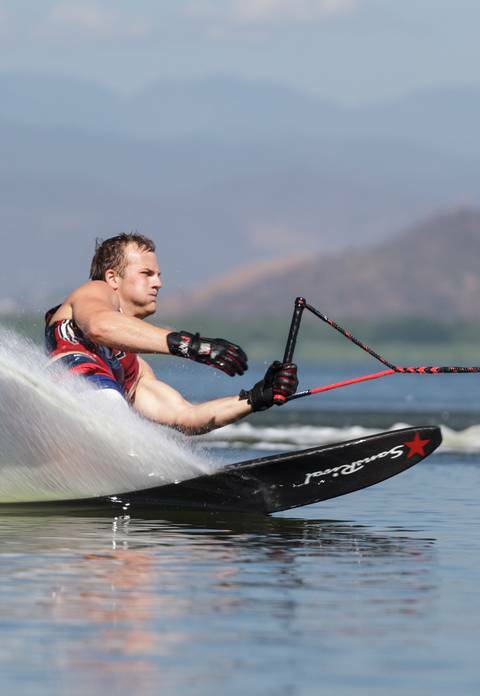 Coming up in December 2016 and January 2017 waterski camps with Martin Kolman and Matteo van de Putte. 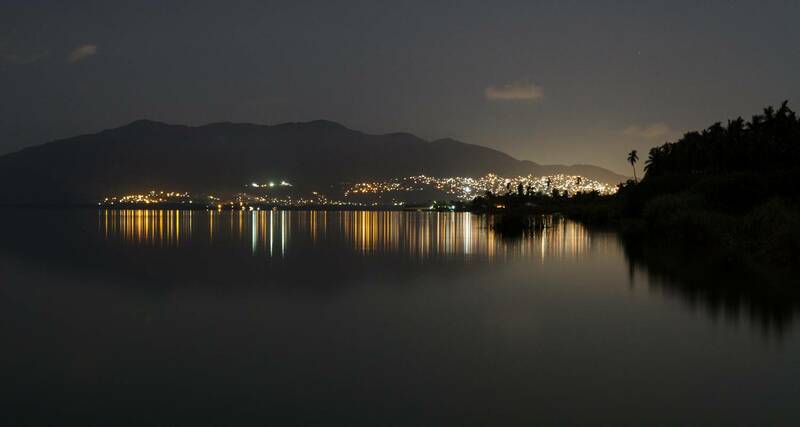 About 20 minutes north of Acapulco, in untouched nature and away from a busy touristic area of the city. 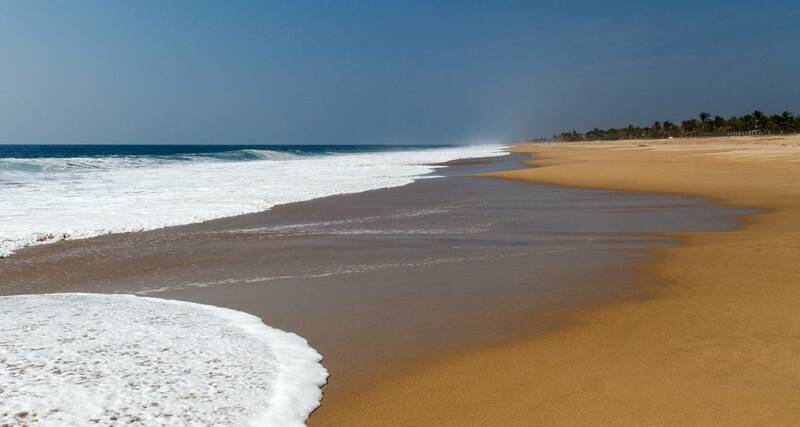 On a narrow strip of land between ocean and lagoon, you'll find a small beach village called Pie de la Cuesta. 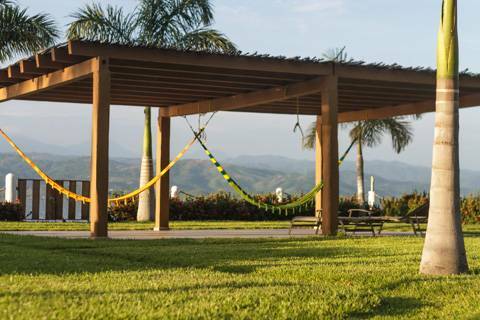 If you're looking for a 5–star hotel complex you won't find it here, however, if you are looking for a calm place surrounded by nature to relax and enjoy time with family and friends, don't look further! 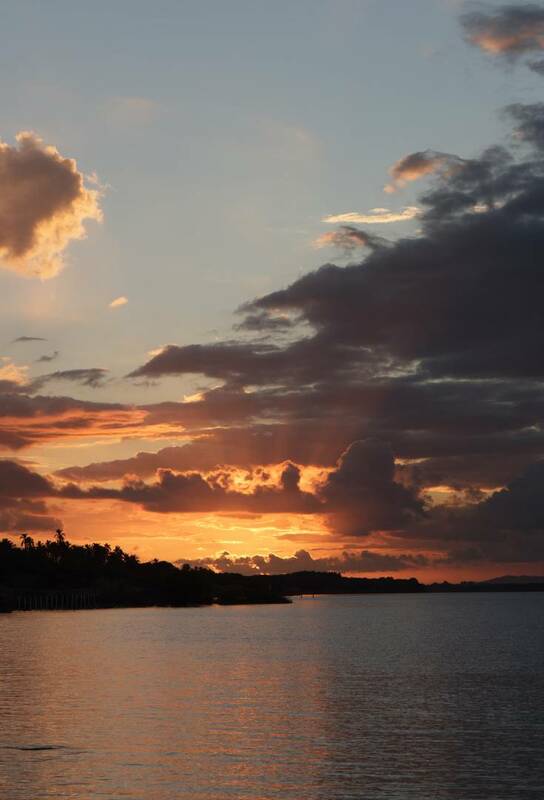 On the beach, you can lay down in the shadow of our palapa and later enjoy an unbelievable sunset, for which is Pie de la Cuesta famous. Bungalow, plamy a na konci brána za kterou na vás čeká oceán. Obývací pokoj jednoho z bungalovu. Místa je dost pro společenské hry. Jedna z ložnic s koupelnou. Bazén s výhledem na lagunu. Společenské prostory s grillem a barem. Lehátko nebo hamaka, krásná laguna a hory hned za ní. We have well-equipped bungalows. Comfortable and with sufficient privacy. 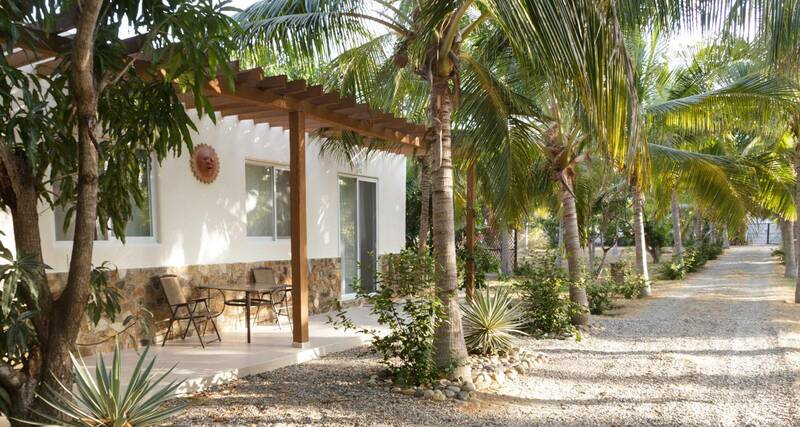 Cleaningness throughout the resort is guaranteed, as well as Internet access. Everywhere and free. 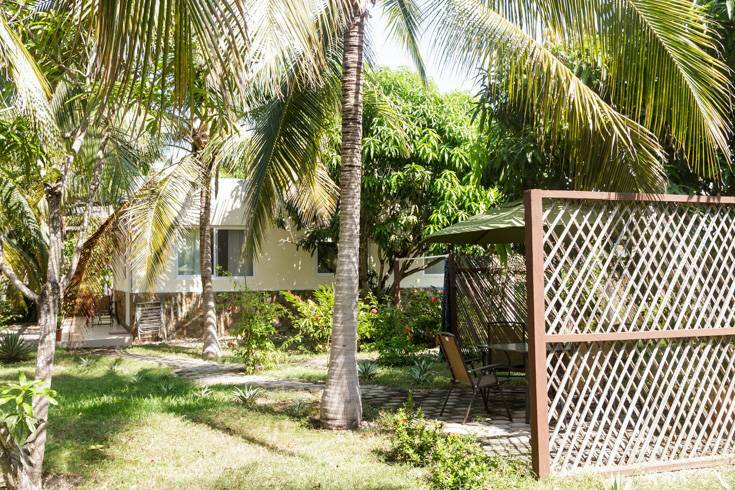 On our grounds are growing dozens of coconut trees and various kinds of fruit trees and even a small papaya orchard. You can pick mango and other fruits straight from the tree. 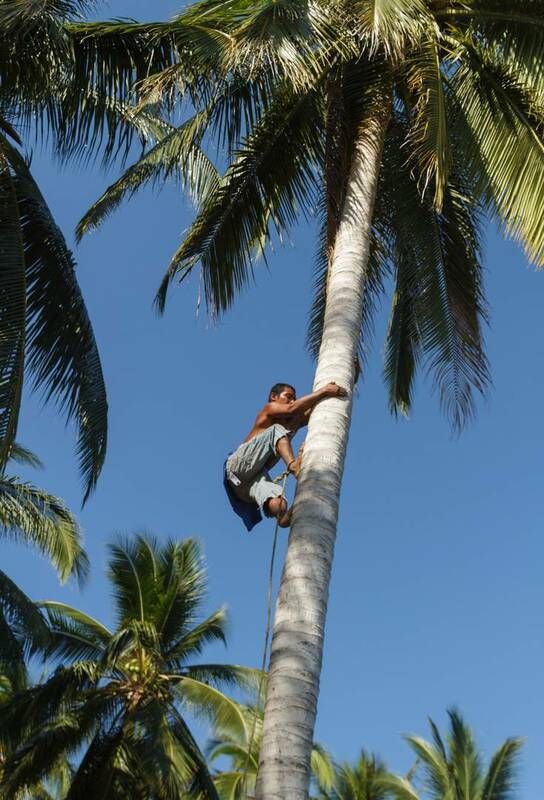 If you like coconuts our gardener will prepare it the way you like it. With chili? Or tequila? Natural? It's up to you. Perfect for a solo traveler or a couple. 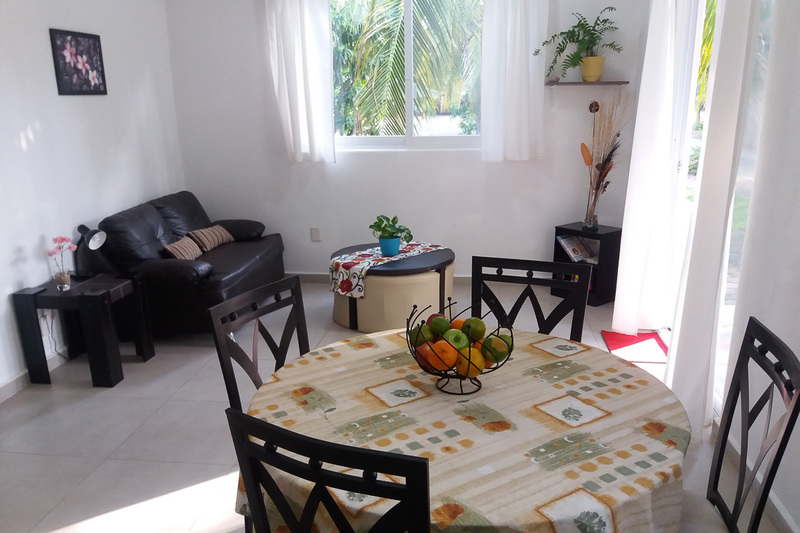 One bedroom with A/C, bathroom, well–equipped kitchenette. Perfect for a small family or group of friends (3-4 persons). 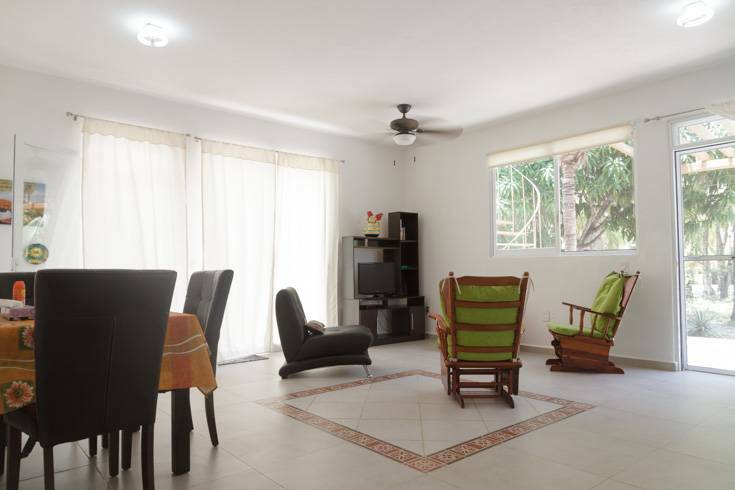 Two bedrooms with A/C, bathroom, well–equipped kitchenette. Ideal for a bigger group (6-9 persons). Three bedrooms, two bathrooms, well–equipped kitchen, spacious living room, terrace on the roof. 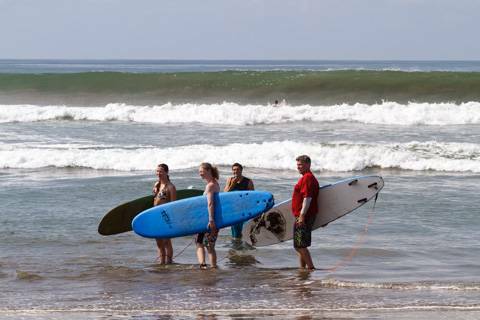 We offer full board for $28 per person. 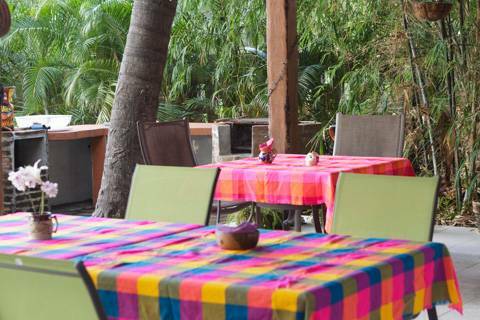 Mexican and international cuisine, fresh ingredients from a local market, fish from lagoon or ocean, tropical fruits and bread from a local bakery. We offer a 15% discount on accommodation for stay longer than 10 nights. Petr, was an excellent host, he made our trip an incredible experience, he took care of everything and always with a big smile on his face. He lives just a few steps from the bungalow so every single need you have he takes care of it. Excelente host, we will be back soon! The place is awesome for quiet, relaxed vacation! 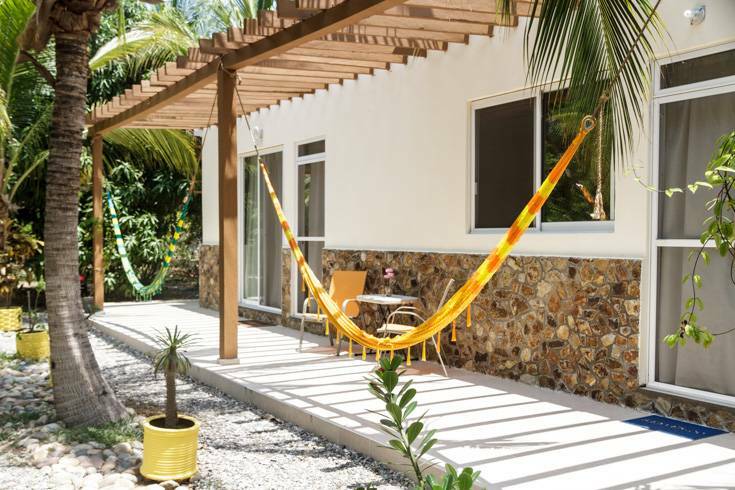 Territory is beautiful, bungalows placed very smart so you have all privacy you need, pool is nice, hammocks, etc.. Well, everything is kinda perfect! We really liked location, it's literally between two waters - lagoon with lots of birds flying and the ocean with long, empty beach. 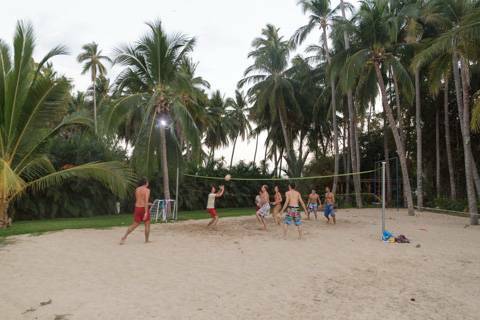 Host, Petr is very friendly, helpful and nice person, he made everything to make our stay easy and fun. Definitely recommend this place! You can find more comments and reviews on our Airbnb profile. 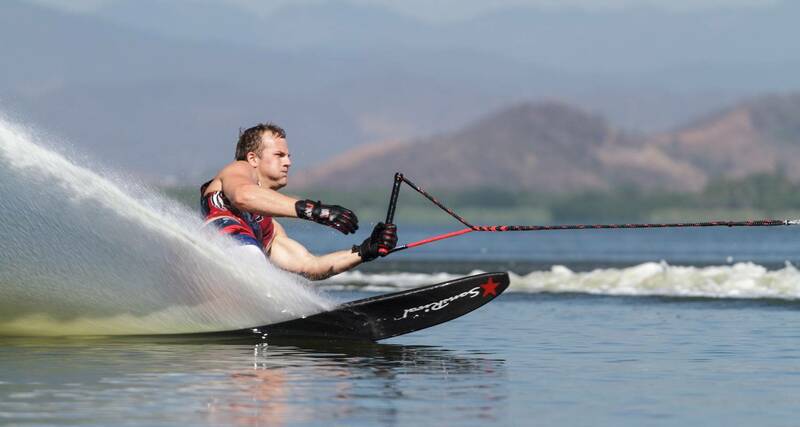 Martin Kolman drtí náš slalom. It's not only about wakesurf, wakeboard and waterski. To explore surroundings you can rent our jet ski, ATV or SUP. When the wind is right you can try kite on the beach. We provide all necessary equipment for water sports, however if you prefer yours, definitely bring it with you. Whether it's your favorite yoga mat or surf. 6 passes in slalom, 15 minute trick set or freeride behind Mastercraft Prostar. Mastercraft X30 is ready with a great wave for wakesurf or wakeboard. 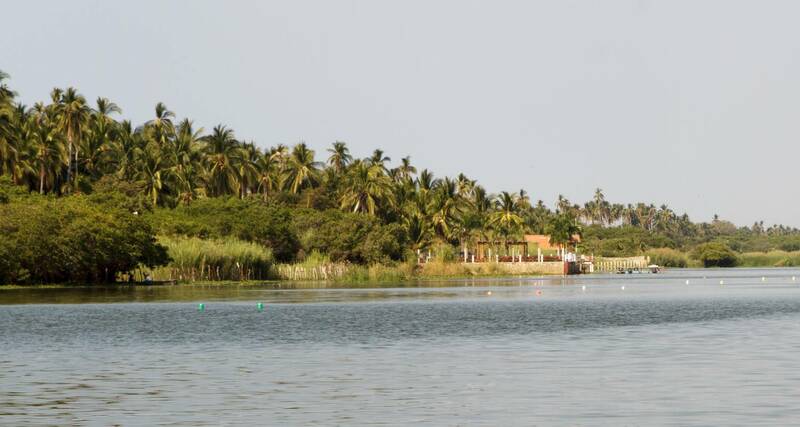 Enjoy paddling on a calm lagoon. Explore “bird island” or places around where Rambo II was filmed. Take advantage of our watersport package with 150 minutes for $240 and save money. We know a good massage is a treat for the mind and tired body. We have prepared a variety of different massages you can choose from. 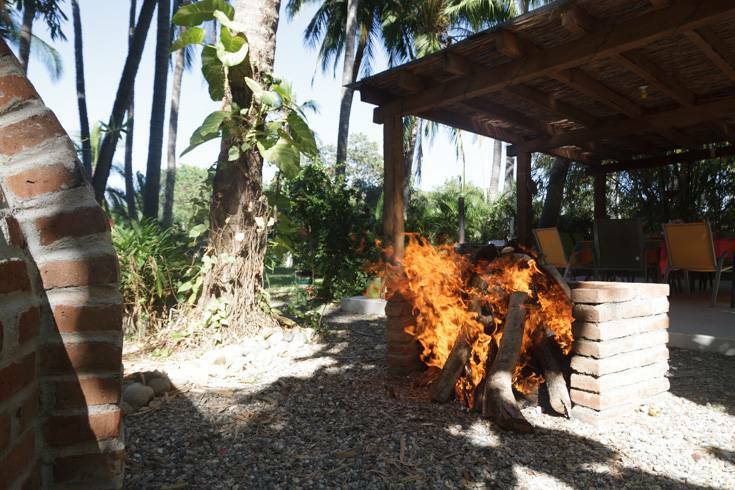 Including hot stones, aromatic oils, relaxing massage and Temazcal. 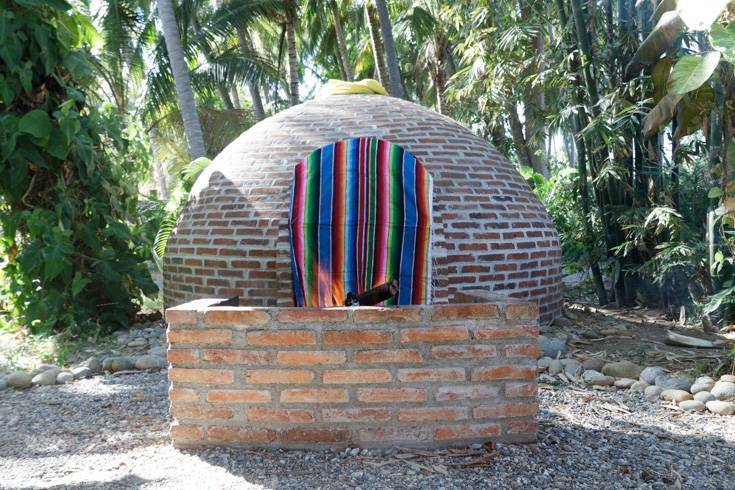 A Temazcal is a traditional steam bath used for both healing and ritual purposes by the Aztecs and Mayans. Mexican temazcalero will guide you during the ritual, which usually takes 2 - 3 hours, but in reality it is a whole day experience. Lávové kameny budou za chvíly rozpálené. Vše připraveno, pojďme se potit. We are a small family business. Enthusiasts to water skiing and sports in general. We live permanently in Mexico, and we know it by heart. If you want to ask anything, just send us email or call. Call or email us - if you have any question or you want to do a reservation.